Historic photos taken by Ton Verhees before and during the last concert of Franco et le T.P.O.K. Jazz at the Melkweg in Amsterdam, - just 20 days before his death in Namur, Belgium. We had already seen the dramatically slimmed-down Franco at the same location, the Melkweg in Amsterdam, in January. But as he walked through the main entrance of the same theatre surrounded by his musicians just over 9 months later, he looked but a shadow of his former self. The musicians were clearly worried. Dizzy Mandjeku shook his head and told me "Ça ne va pas". They had tried to persuade him not come, to stay in Brussels, but he had been adamant. He had made a promise and he was going to keep it. Encouraged by the pleasant and open interview during his last visit I had prepared a long list of questions. But seeing the man it was clear not only that Franco was too busy with his present condition and with what he had set himself to do, but also that I would not have the emotional nerve to bother an obviously very sick man with issues from the past. The concert itself remains a painful memory for all those who were present. Some of those were perhaps not aware of the severity of the occasion. Many, including myself, still feel the intense sadness of seeing this tout-puissant musical giant so powerless, so fragile, struggling and frustrated. With the holiday period over and business returning to normal I am hoping to find more time for this blog. Particularly I hope to post a few of the albums, cassettes and recordings I have promised in previous posts. I would like to start with an album I referred to in a post more than two years ago. And I am not going to repeat what I wrote then, so this can be a short post. This lp, recorded in Abidjan in 1979, is not my favourite by Djelimadi Tounkara and the Rail Band du Mali, but it does have some of my favourite tracks by the orchestra. I agree with Graeme Counsel (see my earlier post and Graeme's notes on his website) on "Dosoke Cery", but prefer the opening track of side A, "Koulandjan", to "Djiguiya". While the organ (played by Cheikh Tidiane Seck) is slightly irritating, particularly because of the thin sound, horns and guitars are nicely proportioned in this Malinké classic. Djelimadi himself (lead guitar) is great on all the tracks, and please also note the rhythm guitar, played with considerable flair and subtlety. 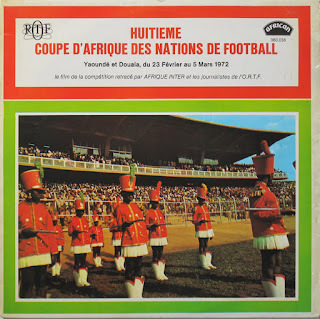 The singers on this album, Sekou Kanté and Sekou Kouyaté, are okay but not exceptional, and certainly not of the same level as Mory Kanté or Salif Keita. In songs like "Trio Mandingue" their harmony is a bit awkward and tends to create an atmosphere of sullen boredom. As I mentioned I don't share the enthousiasm for the track "Djiguiya". This may have to do with Cheikh Tidiane Seck's dominant role in this song and my general aversion to 'funky tunes'. To me the star of this album is the wonderful version of "Dosoke Cery". All the elements fall into place in this song. I write "version" because if you listen carefully you may hear the similarity between the melodic theme of this song and that of "Diabaté Zani" by the Super Djata Band. 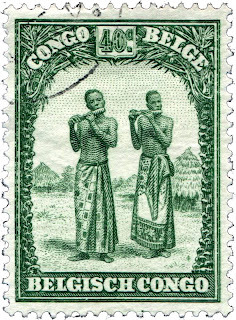 This theme is, of course, derived from the music of the hunters (donso); a line of stars of the donso ngoni music is mentioned*. "Dosoke Cery" is brilliantly understated and jubilant at the same time. The jubilation is provided by the superb interaction between rhythm and lead guitar, the understating is done by both organ and singer. I am sure many of you won't agree, but I am of the opinion that the organ is superfluous and the song would be even better without it. The organ partially neutralises the tension generated by the two guitars and the vocal. Despite this critical note, "Dosoke Cery" is still a great song. *for example Toumani Koné and Batoma Sanogo, both of whom will featuring in upcoming posts. In the past few days I have been in the precise mood for this classic album from 1984. I hasten to add that I am not a fan of this orchestra, Super Diamono (or Jamano) de Dakar, but I do love this lp. The lp itself was given to me on April 11, 1986 by Donald 'Jumbo' Vanrenen, who at the time was still living in London and very much in charge of the Earthworks label. I interviewed him about his relation to music in general and to artists like Thomas Mapfumo. In re-listening the 3-hour interview I have not been able to discover what triggered this gift, but until this very day I am truely grateful. Purely coincidentally I interviewed both Moussa Ngom and Omar Pene that same year. 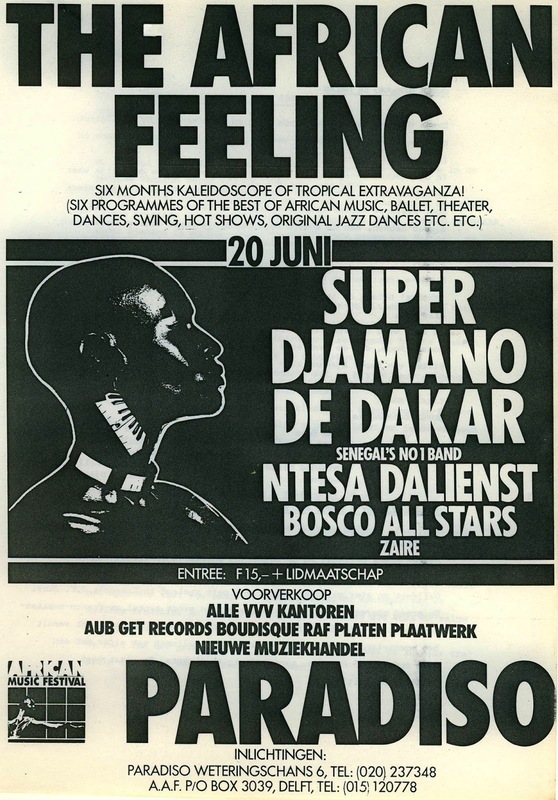 The interview with Moussa Ngom, after a concert in the legendary African Feeling series organised by Oko Drammeh at the Paradiso in Amsterdam (see the flyer below), was very strenuous, with Moussa answering in platitudes which seemed to be inspired by reggae lyrics. Omar Pene, who I interviewed at the WOMAD festival, was - by contrast - extremely businesslike in his answers. One answer in particular stuck with me. Asked if it didn't bother him that European audiences had no idea what he was singing about, he said that to him the voice was primarily an instrument; changing the language would mean changing the instrument. Listening to this album I have to agree that the songs would sound ridiculous if they were sung, for example, in french. Omar Pene's voice is in perfect harmony with the instrumentation, almost to a point where voice and instruments amalgamate. In general I thoroughly dislike anything even vaguely resembling a synthesizer, and I think the introduction of this demon child of organ parentage has played a major role in the degradation and impoverishment of musical cultures. Nevertheless, given that the damage has been done, the milk has been spilt and the child has disappeared with the bath water, I can think of far worse examples of the use of synthetic instruments than that by Papa Basse in these tracks. It is like Super Diamono was attempting to invent a new vocabulary with this album. A vocabulary where the synthesizer would not sound out of place, totally superfluous and an economic alternative to something much better (i.e. usually a horn section). In the opening track "Yamatée Née Law" the guitar, the voice of Omar Pene, even the well-tempered sax (after 2'07), they are all held together by the organ and synthesizer. The song is languid, moody almost, and the synthesizer and organ are major contributors to this feeling. The effect is slightly different in the second song, "Indu Waad", also a ballad. The synth sauce is counterbalanced by the subtle guitar, which only just manages to save Omar Pene's voice from tipping over into the dramatic. 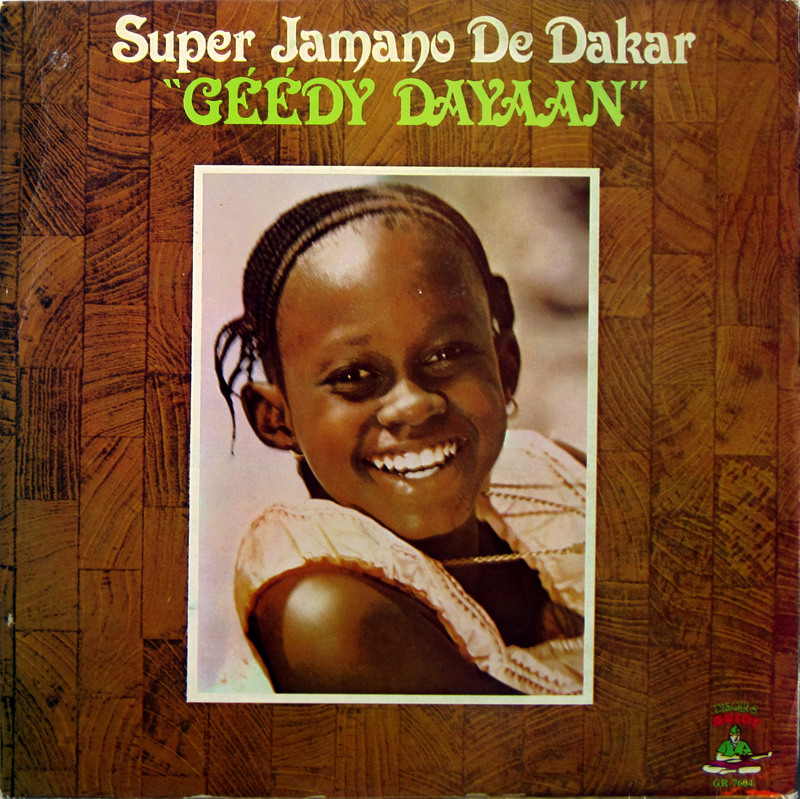 Drama does prevail in the title song of the album, "Geedy Dayaan". In this song Omar Pene is the star of the show. His voice brilliantly goes from desperate to consoling, from tragic to loving. Please note too Bob Sène's careful guitar playing. Of the three other (more mbalax style) songs on this album I particularly like "Muugn". Not so much for the synthesizer, which I find more irritating than on the other songs, but for the fact that Super Diamono demonstrates that the band can also make good songs without or with just a little bit of synth. In this second commemorative post I am going back to the start of Franco's O.K. Jazz. The three EP's I would like to share were released in the early 1960s, but the songs on these were recorded between late November 1956 and August 1957. All of these songs have been - at some time - released on CD, so you may wonder why I am posting them. The answer is actually quite simple: I think the sound on these EP's is better. And I don't mean that these EP's are flawless. On the contrary, I would described the state of the vinyl as mediocre*. There is a steady crackle on all these three Extended Play records. Nevertheless, the definition of the music, of the instruments and the singers, is - in my opinion - better than on the CD's. This 'definition' is immediately noticeable in the first song of the EP with the title "O.K. Jazz No.2". This song, "La Fiesta" (here "La Fiesta-Tcha-Tcha-Tcha", probably copied from the labelling on the HMV shellac), features singer Vicky Longomba backed by Philippe Landot a.k.a. "Rossignol". Just on the voices there is clearly more definition: Rossignol's voice can be distinguished far better and is positioned behind Vicky's in the sound image. But an even greater difference can be heard in the sound of the maracas. This instrument no longer sounds muffled. Also that wonderful clarinet, played by Jean-Serge Essous (see this post), is more more '3-D' than on the CD, which even further enhances the part of this song after 1'24 which I see as one of the climaxes in the Essous' work with the O.K. Jazz. Unfortunately there are very few of those. 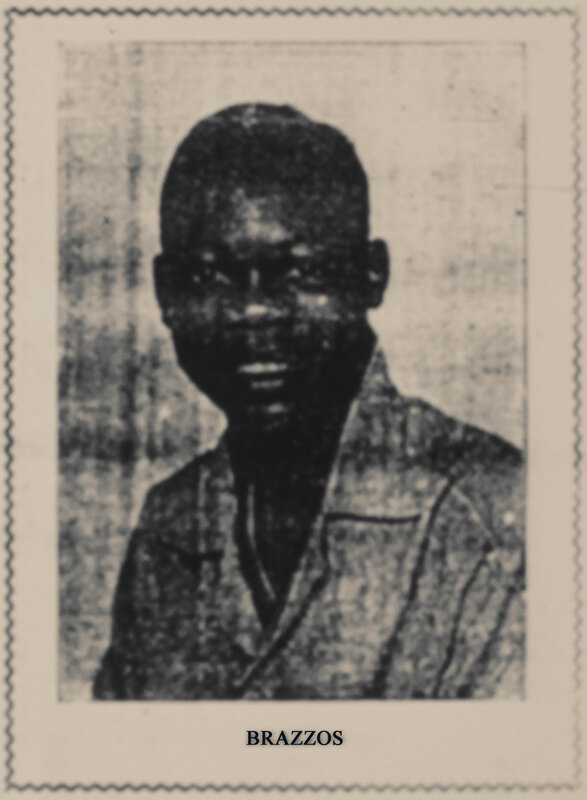 And this is not so much due to the lack of talent on the part of Essous, but entirely to the fact that on January 1, 1957 he (and Rossignol, plus drummer Saturnin 'Ben' Pandi and Paul Ebengo better known as Dewayon) left the O.K. Jazz and Editions Loningisa for the new created Esengo label. So this was exactly 5 weeks after recording "La Fiesta" and the A-side of this 78 (Loningisa 160), "On Entre O.K., On Sort K.O. ", which by many - and in my opinion erroneously - is considered to be the first track by the O.K. Jazz. My guess is that this has to do with the HMV catalogue, in which "On Entre O.K., On Sort K.O. "/"La Fiesta" is the first record (HMV 1001). The tracks recorded at the Loningisa studio were sold on to His Master's Voice. There are even a few tracks which were only released on HMV. Going by the recording dates the first record by the O.K. Jazz (founded June 6, 1956) is Loningisa 154 "Makambo Mayiza Mazono" (recorded June 20, 1956), with the tell-tale B-side "La Rumba O.K." (recorded on June 21, 1956). Both these songs, composed by Franco, are on Crammed Disc CRAW 7, which also contains Loningisa 157: "Tika Kondima Na Zolo"/"Meya Te, Kaka Elamba". And, in case you are still convinced that Loningisa 160 was the first release by the O.K. 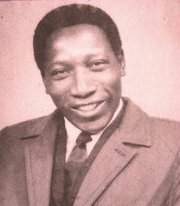 Jazz: Loningisa 158, recorded in July 1956, features another Franco song entitled "Bana O.K. Jazz". To me the best tracks of Essous with the O.K. 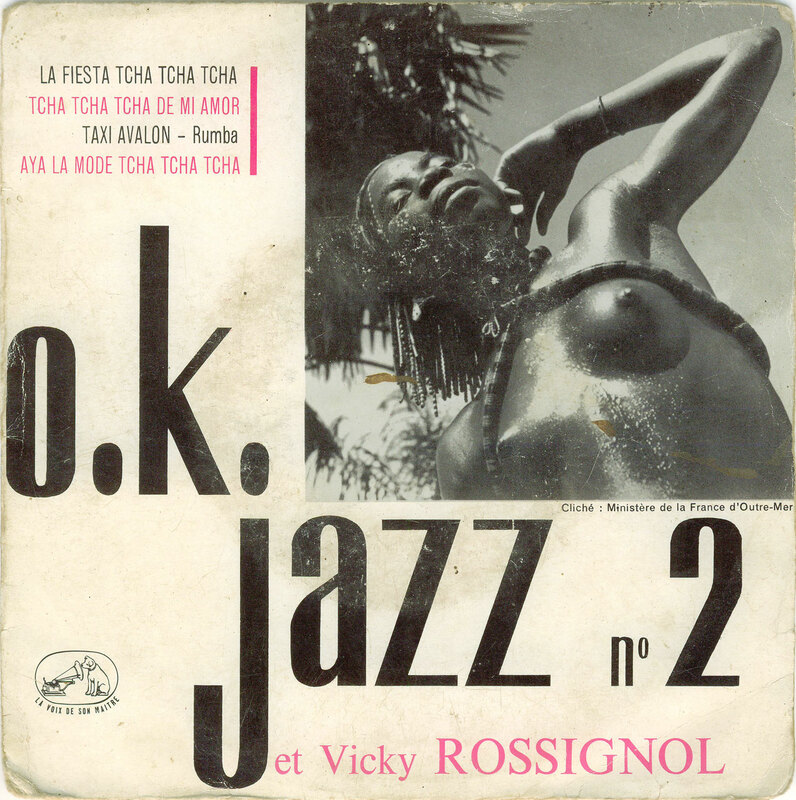 Jazz must be the two on the A-side of the second EP, which carries the rather anonymous title of "Congo Rhythm". 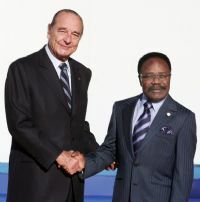 These two tracks, "Alliance Mode Succès" and "Tongo Se Elangisa" (both composed by Dewayon), were recorded just days before Essous and Rossignol departed, on December 24 and 27. The interplay between Franco and Essous in these songs is just brilliant, and makes me wish the cooperation between these two Greats would have continued for much longer. 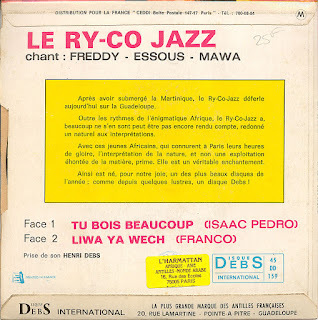 It is clear that this interplay was the basis for the - almost hallmark - interaction between Franco and Isaac Musekiwa, the sax player who in the early part of 1957 came over from Kabasellé's African Jazz to fill the gap Essous had left. I assume the song "Alliance Mode Succès" is one of many paying tribute to a female association (and I suppose this must have been "La Mode"**). Rossignol encourages the members of the association to show their dancing skills, calling them one by one. "Tongo Se Elangisa" is my favourite song of Vicky singing with Rossignol. Rossignol is singing lead, with a touch of the dramatic (it is a bolero); and Vicky shows great control in backing him in an understated manner. More songs from 1956 can be found on the third of these EP's. Something appears to have gone terribly wrong with the title of this EP, as the trademark slogan "On entre O.K., on sort K.O." has been 'corrected' into "On Entre O.K., On Sort O.K.". It is unlikely that the correction was intentional, as even the opening track of this EP, the A-side of "La Fiesta" (see above), has been changed. The two songs on the B-side of this EP were composed by Essous. 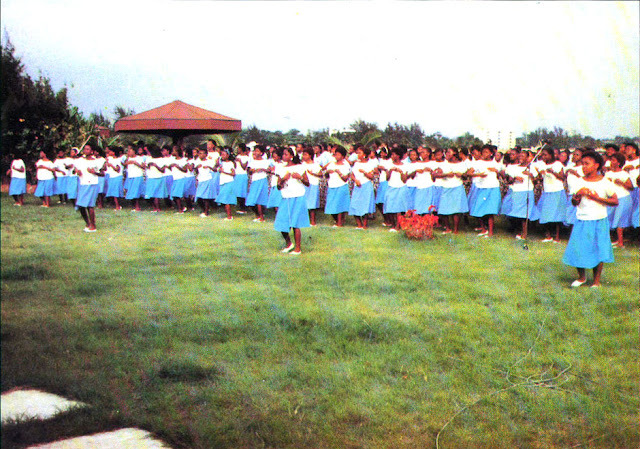 As with the songs on the other EP's, both "Lina" and "Se Pamba" sound more open than the CD-versions, which also makes it easier to distinguish Franco's antics in the background. After the departure of Essous, Rossignol and Pandi new members were recruited. Vocalists Edo Nganga and Célestin Kouka joined the young orchestra, and Nicolas Bosuma a.k.a "Dessoin" was attracted to replace Pandi. 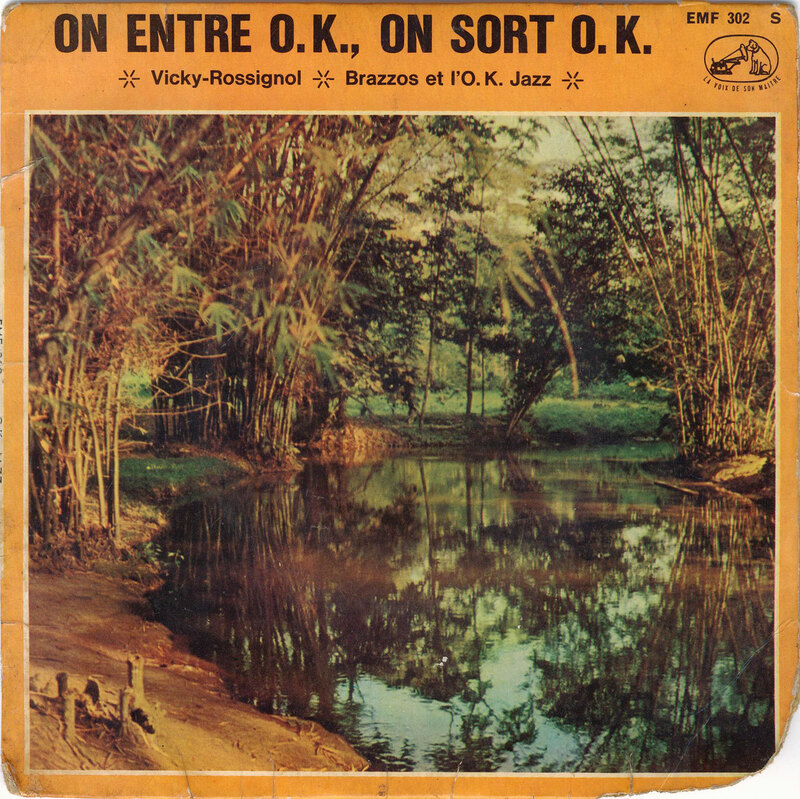 No doubt provoked by the serious competition from the new orchestras and temporary groupings on the Esengo label, the O.K. Jazz progressed at an incredible rate. Also new with the O.K. Jazz was Antoine 'Brazzos' Armando. He had played with Vicky at Editions CEFA in the mid-1950s. There he worked with Belgian (jazz-)guitarist Bill Alexandre, who in 1955 introduced the electric guitar into Congolese music. Bill Alexandre named Brazzos, in an interview in 1992, as the best guitarist of the era. I am not sure what the precise grounds were for this qualification, or if this was in any way influenced by the fact that they cooperated at the CEFA label. Nor do I have any idea if Mr. Alexandre was aware of the full extent of the competition. Fact is, however, that Brazzos played a crucial role in the evolution of the O.K. Jazz, - if only for his compositions. For, to be honest, Brazzos' role as an instrumentalist within the O.K. Jazz is still a bit of a mystery to me. As I mentioned, he joined the O.K. Jazz in 1957 as a rhythm guitarist, left the orchestra at the end of 1959 to join Kabasellé (and Vicky) as a bass player at the Table Ronde. And when he returned a few years later (again with Vicky), his place as an accompagnateur was taken by Lutumba Simarro and Franco was well on his way to establish himself as the undisputed star of the orchestra. In the time between his arrival at the O.K. Jazz and his departure for African Jazz Brazzos composed 20 songs for the orchestra, and all of these are veritable gems. His first record was "Na Banzaki Angelu"/"Nde Okobanza" (Loningisa 181 / HMV 1027) and his second was "Tcha Tcha Tcha De Mi Amor"/"Yaka Nakoki Te" (Loningisa 189 / HMV 1045). These last two songs can be found on these EP's. "Tcha Tcha Tcha De Mi Amor" is the first in a line of killer cha-cha-cha's, which with the O.K. Jazz were usually not very far from a boléro. Franco is at it and restless like a caged animal, while the rest of the orchestra remains relatively sedate and seemingly undisturbed. In "Yaka Nakoki Te" Franco seems more controlled, but this control is deceptive. I am sure I'll get back to Brazzos and his contribution to the early O.K. Jazz at a later date. I leave you to evaluate the remaining four tracks from these three EP's by yourself. The two most 'recent' of these, "Nakolela Mama Azonga" and "Ah Bolingo Pasi", were composed by Vicky and were recorded on August 21, 1957 and released as Loningisa 198 (HMV 1054). Edo Nganga's "Taxi Avalon" was released on Loningisa 192 (HMV 1048). 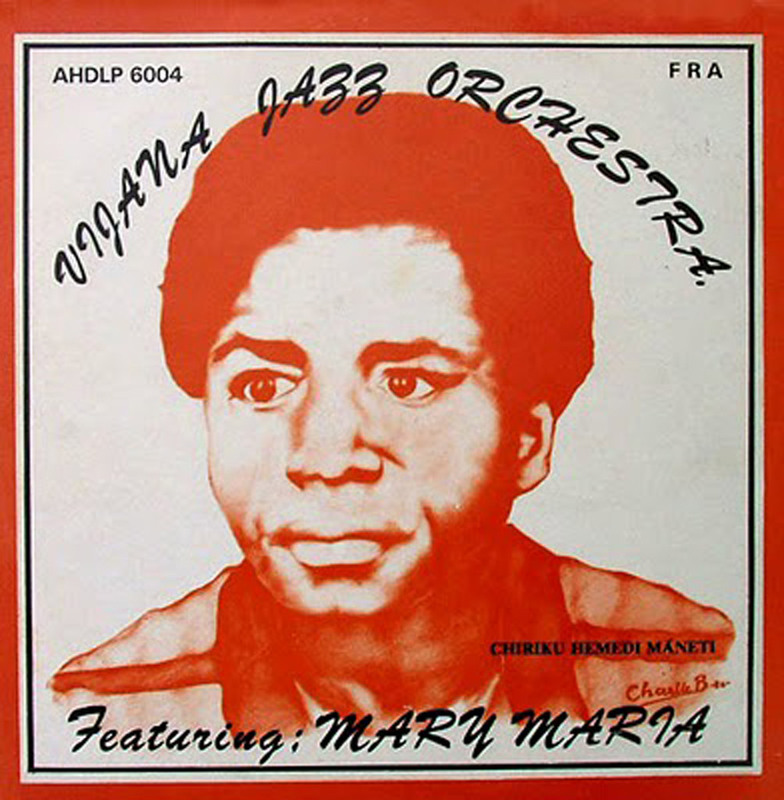 And I am sure you recognise "Aya La Mode" (Loningisa 194 / HMV 1050) from the compilations in which this compositon by Franco has been included, - unfortunately in most cases out of context and seriously compressed and/or otherwise mangled. In the version on the EP you can still hear Brazzos' understated rhythm guitar, which Franco uses as a line to set his exclamation marks. 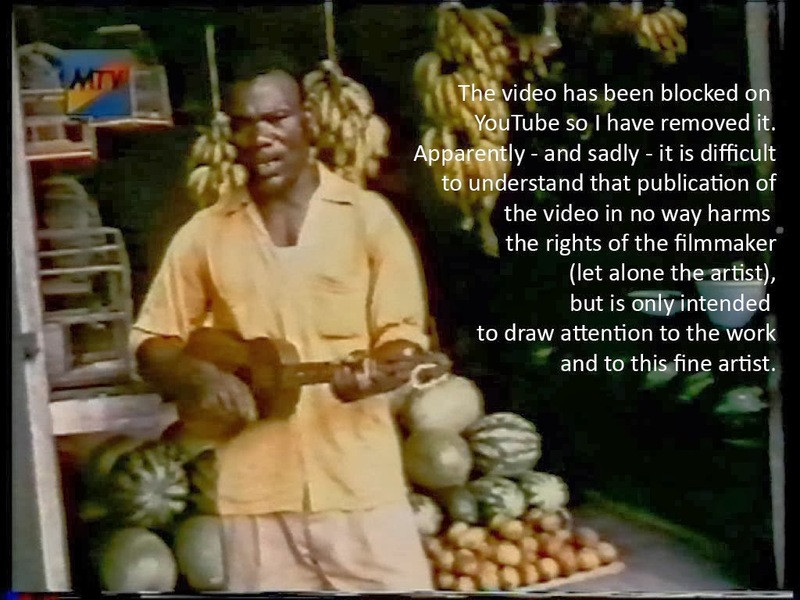 ** and that reminds me: I am still waiting, with considerable anticipation, for the documentary which Vincent Kenis, Césarine Sinatu Bolya and others have made about the 1950s Congolese music scene, in which these associations play an important role. I had intended to finish this post last Saturday, July 6, as it was the date on which Franco would have celebrated his 75th birthday. But both the warm weather here in the low countries, plus work and (especially) social obligations have prevented me from completing this task. So almost a week late, I would like to commemorate this true giant of African music, a giant who despite his huge influence on African and - through this - world music in many respects remains completely unknown to the general public in large parts of the world, by sharing two selections from his work. The first of these is the album "Chez Fabrice à Bruxelles" which was released on the Edipop label in 1983. In my experience this is an album that not many people will mention when summing up their favourite works by Franco and his T.P. O.K. Jazz. This is a pity, but not for the most obvious reason. The most obvious reason being that this is the album that contains the first (almost 19 minutes) track combining the vocals of Franco and Madilu System: "Non". This combination would prove hugely successful in the following years, with the albums "Très Impoli" (POP 028, 1984 - with "Tu Vois? ", which is probably better known as "Mamou") and, of course, "Mario" (CHOC 004 and CHOC 005, both from 1985). To be honest, I am not a great fan of the (also late) Madilu. While I understand the reasons for his popularity, my preferences are with other singers. 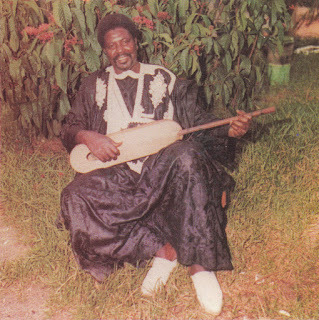 But, as Ntesa Dalienst put it in an interview in 1990 (parts of which have been posted by Aboubacar Siddikh on his YouTube channel), in the last years of his life Franco composed songs for the voice of Madilu. According to Ntesa, this choice must be seen in the light of Franco's continual endeavour to incorporate other popular Congolese styles into the music of the T.P. O.K. Jazz. From 1973 onwards he had (no doubt helped by the position he had obtained both within the music 'business' and in relation to the political powers of - then - Zaïre) attracted singers from the African Jazz school of Congolese music (Sam Mangwana, Josky Kiambukuta, Ntesa Dalienst and others). 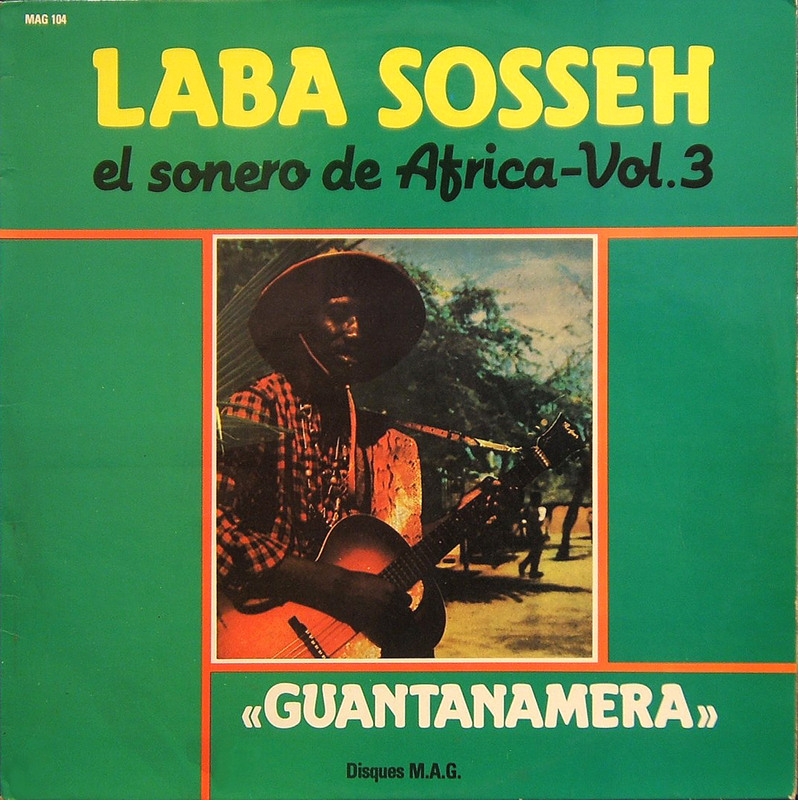 Ntesa names "Non" specifically as a song intended to integrate the style of Pepe Kallé. While Ntesa stated that the love for this music style was Franco's main motive, I suspect that commercial motives must have played a role. 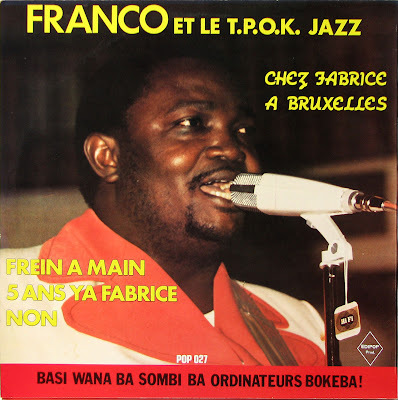 And especially as Franco was trying, in 1983, to gain access to the American and European market and wanted to use the broadest possible scope of Congolese music to do so. 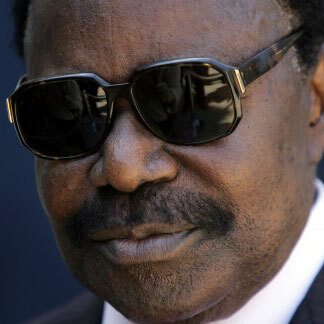 At the same time Franco did not want to lose any of his popularity with his Congolese/Zairean public. So he continued to address them on issues which can best be described as 'everyday issues'. "Non" is a mix between a love song and a song about a social topic. In short, the song is about a girl's refusal to marry a married man. Seen from a current, western perspective the lyrics are blatantly sexist, even verging on misogynistic. Whether this means that Franco can be described a misogynist is, however, not as obvious as it may seem. A lot of Franco's songs describe opinions held by (a larger or smaller part of) the Zairean public. In many cases they do not necessarily always represent Franco's personal view. Getting back to the album, I find the A-side musically more interesting than the B-side. This side contains two tracks, "Frein à main" and "5 Ans ya Fabrice". I don't know the lyrical content of the first song, apart from what appears to emanate from the title (a "frein à main" is a handbrake, and I assume Franco is not referring to the handbrake in a car). The second song is a sequel to a song from 1980, simply called "Fabrice". It is a continued ode to the tailor in Ixelles, Brussels frequented by Franco and some of his musicians and staff. I like the A-side not just for the solid chorus, but also for the complex arrangement. Perhaps not as classic as "A l'Ancienne Belgique" from 1984, but well en route to that peak in the 1980s repertoire of the T.P. O.K. Jazz. Over the years I have found that a lot of listeners have problems distinguishing Franco's guitar in the melee (or - if you like - mêlée) of guitars. In "Frein à main" and "5 Ans ya Fabrice" his guitar is on the far right of the stereo image (e.g. 7'15 into "Frein" or 10'36 into "Fabrice"). I have refreshed a few of the links that have 'died' in the course of time. 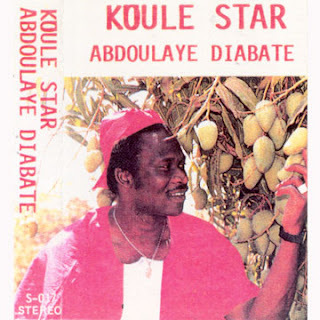 - that seminal cassette by Abdoulaye Diabaté & le Koulé Star from Koutiala. An absolute must for lovers of that classic Malian orchestra sound, if you ask me (and such a lovely inviting cassette sleeve too..). - the cassette Super Biton released a few days after the last 'old style' Biennale in 1988. My guess is they thought they had a chance of winning. A good optimistic attitude in general, but in this case not very realistic... In hindsight not a bad cassette though. - the EP by G.G. Vikey. Still nice. And I have managed to dig up a copy of the front sleeve! 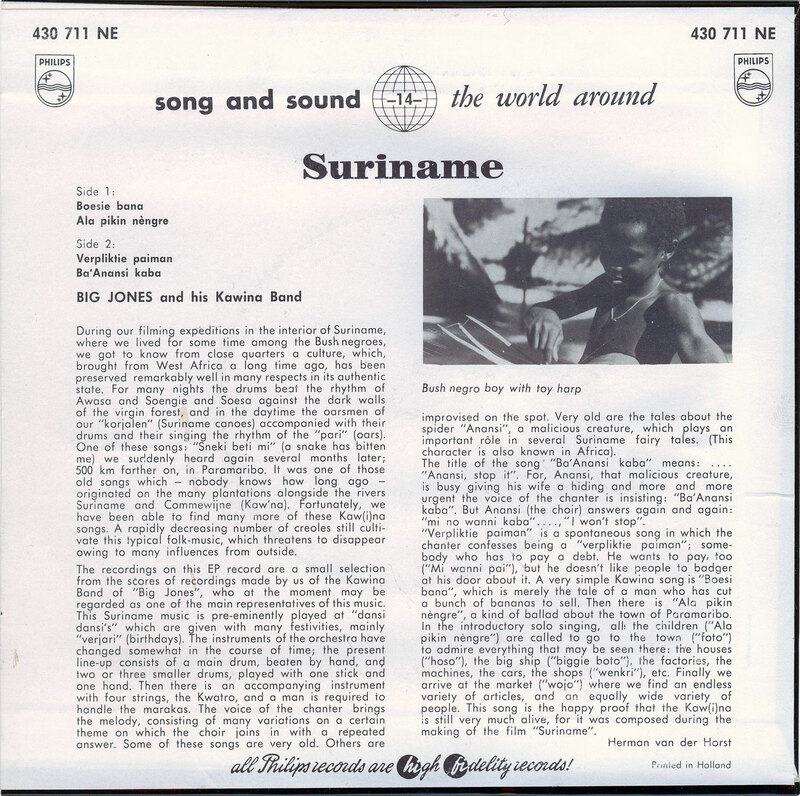 - the recordings of the RTG (Guinée) of the Super Sanankora Sofa de Kérouané. I am in the process of redigitising the video, and Graeme Counsel has also posted a few videos by this orchestra on his YouTube channel. - perhaps one from the category "holiday slides", but I don't care: the accordion I recorded in Trinidad, Cuba. - the zany lp by Orchestre Micky-Micky. Congolese music recorded in Nigeria always has that special something, as you perhaps know from all those great Tchico albums that Moos at Global Groove. And this Micky-Micky one is especially special. - one from heavy-weights of T.P. O.K. Jazz fame: Josky Kiambukuta, Madilu and Malage de Lugendo's lp "So.Pe.Ka.". A classic which will surely get you wiggling. 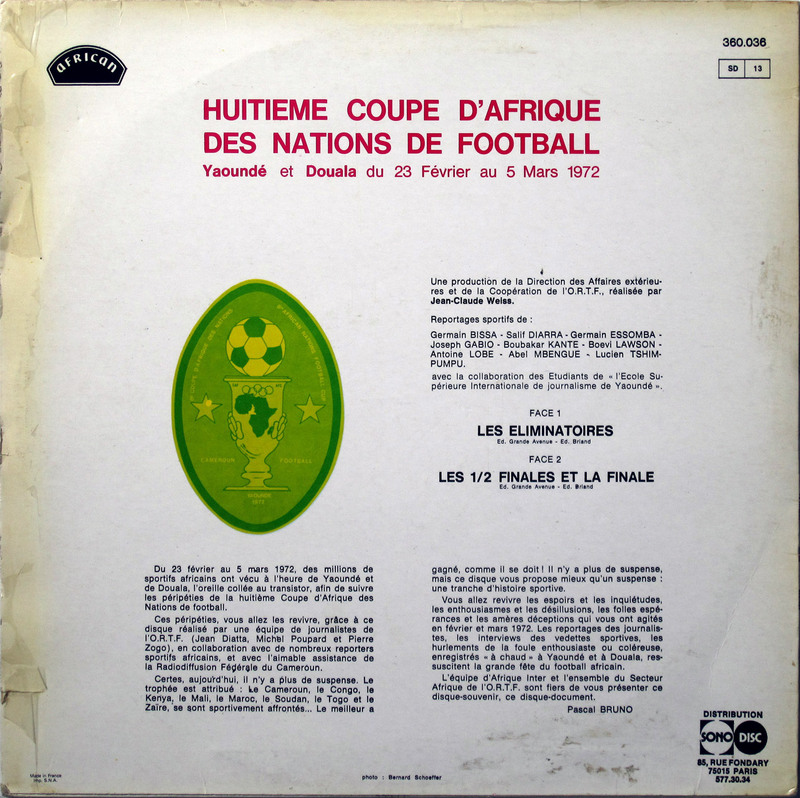 - volumes 2 and 3 from the series "Les Plus Grands Succès", originally recorded for Ngoma (see Flemming Harrev's discography on http://www.afrodisc.com/). I will come back to these records in the next few weeks. - by the legend from Sierra Leone, Salia Koroma, his cassette #40. At the Lola Radio blog you can find more from the same 'batch' of cassettes. 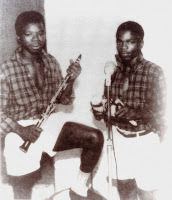 - and finally, from Zimbabwe, two cassettes by the Marxist Brothers. You may have noticed too that I have uploaded a slightly improved version of the legendary Chief Stephen Osita Osadebe's "Festac Explosion Volume 1" a month or so ago. If you find any more links that have expired, please let me know and I will replace these. Although still at a 'tender age' I have consciously lived through the era of the twist. I have vivid memories of aunts making a total fool of themselves. And of us - the children - giggling, and subsequently being sent out of the room. I even remember cautious efforts at executing the dance (and 'executing' is a good description..) in an early attempt to show that I was "with it". I have to admit I was puzzled (to say the least) when I found out - a few decades later - that this dance had been copied in several African countries (see also this post). A dance which conjures up images of awkward, even embarrassing body contortions by oversized humans, being performed in countries where dance and rhythm was an integral part of life? Why? A key to an answer was given by Franco. In an interview in 1987 he pointed out that Africans have no problem in integrating influences from other continents. He himself was a great fan of 'musique slow', by which he meant a large repertoire varying from soul ballads to entertainment music from films and such. The fact that Africans took aboard influences was not a problem, according to Franco. The real problem was that the broad public in the US and Europe make no attempt to get to know the music from Africa. For in looking for a digital version of the sleeve* of this lp (which I copied to cassette sometime in the 1980s) I was struck by the constant references to the fact that a group from the UK had covered a song by this artist. One could easily get the impression that Daudi Kabaka's only contribution to the welfare of mankind has been that "his song "Helule Helule" was covered by The Tremeloes and () became a hit in United Kingdom" (wikipedia). Luckily there are others who manage to stay away from justifying the mention of an African artist by how he or she can be linked to the western world. I particularly like the article by Douglas Paterson, which highlights Kabaka's career from an African perspective. If you ask me Daudi Kabaka has done more by singing songs like the delightful "Kiliyo Kwelu" and the slightly hyper "Jela Kubwa Na Viboko" than by allowing an english band to copy bits from a somewhat boring "Helule Helule". It has been quite a lot of work collecting the material for this post. In all I have spent nearly six months going through unlabelled videos, looking for what I was sure I had recorded. I was dangerously close to giving up when I found it, on a tape with varied recordings from local television (when it still existed...), hiding behind a disappointing documentary on Sunda music. These songs are taken from a film entitled "Faja Lobbi" from Dutch cinematographer Herman van der Horst. The full film/documentary can been seen here. And I can certainly recommend it, if only for the absence of any form of commentary (and that's usually the part that irritates). Although I had seen this film in the 1970s I was not aware that the title "faja lobi" (or "lobbi") referred to a flower, and that this flower is (or was) the national flower of Suriname, the south-american country which until 1975 was a colony of the Netherlands*. Up to this day the first thing that comes to mind with "faja lobi" is .. well .. plant-related, but not of the flowery kind. I tend to associate "faja lobi" with spicy peanut soup, - of the type that burns a hole in the lining of your stomach and which I used to eat 'con mucho gusto' (until it did...). For the former Dutch record company Philips also released an EP with music of Big Jones and his Kawina Band, i.e. the artist featured in the film. 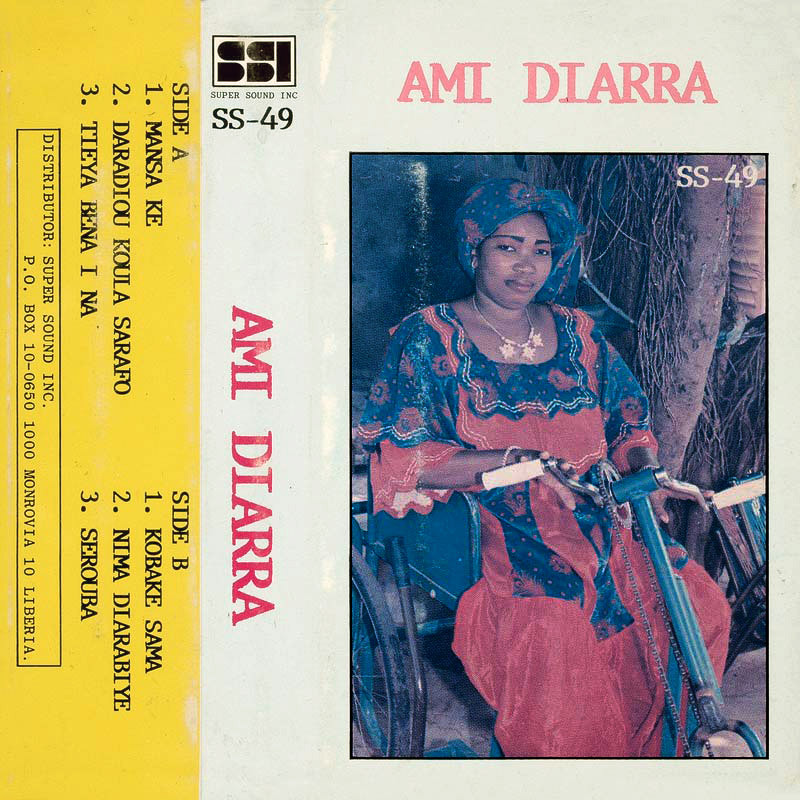 The second track, "Ala pikin nèngre", is the first song in the video. * It is actually slightly more complicated. Suriname was a colony from around 1667 until 1954, when it became an independent part of the Kingdom of the Netherlands. The last ties were cut on November 25, 1975. EDIT January 29, 2014: The video has been blocked on YouTube after claims that it infringes on the copyrights, which are apparently owned by TopNotchVOF, which I suspect is the company behind TopNotch music. I would not be surprised if the company had no intention whatsoever to promote or publish any of the works by this artist, - which makes their claim even sadder (the biography of the founder of the company certainly contributes to this sadness ....). This is really all I have of this absolutely legendary performance. But I am still hoping, of course, that one day someone will come up with more and/or in a better quality. And if, like me, you can't get enough of these videos, please look around for more on Ngoniba's Youtube channel. Here is one to help you on your way. The principle star of these videos is, of course, Mariam Bagayogo. You may remember the video I posted a few years ago. As I mentioned then, besides the singing and the balafons accompanying her I was particularly fascinated by the dancing. And, having watched Ngoniba's videos a few times, I am again fascinated by the intricate dancing in these videos. 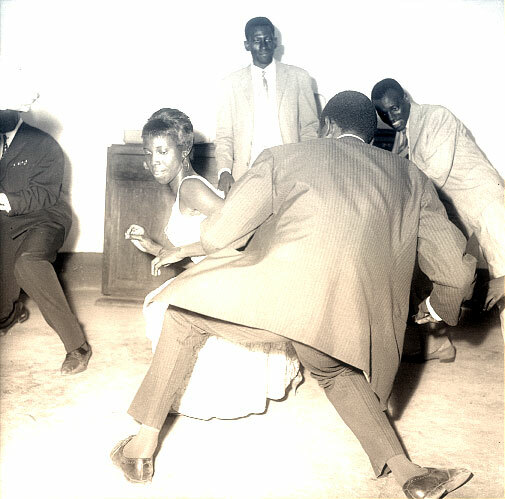 It is no secret that dance is at the core of a lot of (if not most) music in Africa. 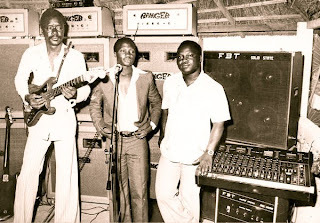 When I first started interviewing Malian artists in the 1980s I was struck by the frequent use of the word "rythme" when they were talking about songs. It soon became clear to me that this was not accidental, but that rhythm and music are the same thing, or part of the same thing. And that rhythm also meant dance. Talking to Daouda 'Flani' Sangaré and Alou Fané, who had both been dancers with the Ballet National du Mali, I learnt that all the dances have a meaning, as does the rhythm. A dance can carry a message, like "I fancy you" or "I respect you", or can - for example - be used to underline the dancers' identity as part of a group, family, caste etcetera. When it comes to dances there still are many misconceptions with the 'general public' in the western world. "African dances" often are seen as very exhuberant, with arms and legs flapping all over the place, and - preferably - with loud djembe drumming. Fortunately, most dances are not like this, and are actually very controlled and wonderfully subtle. I remind you of that fantastic dancer in the Oumou Sangaré video I posted earlier, or Alou Fané's delightfully understated dancing in this video. The flexing of the knees, the step: dance and music are one. EDIT May 12, 2013: Ngoniba has sent me a link to a recent and very interesting article on Maliweb about Mariam Bagayoko. In this article she talks about her career and about her situation at the age of 70. Apparently she has taken over the care of the 17 children and 4 wives of two of her brothers who have passed away. Her message to Malian readers is that they should follow in the footsteps of their elders, i.e. respect the traditions. EDIT September 22, 2013: I have had to remove the link to the article on Maliweb, as the site appears to be hacked. The processes of the mind are a mystery. In the last few weeks, ahead of the inauguration of King Willem-Alexander (April 30, i.e. tomorrow), a calypso from the 1930s has been continuously popping up in my head. I have found myself singing it under the shower, and for no obvious reason. Tiger's "Money is king" (and the music can be heard here) was true in 1935, and unfortunately little has changed since those days. During his lifetime Bongo has done more than enough to guarantee a place in the eternal memory of his people. Particularly through music his name has been immortalised to a degree that will take centuries to be wiped out. If you think Sekou Touré left his mark on Guinean music, go to Libreville and go through the Gabonese music archives. He was undoubtedly helped by his wife (and mother of the current president of Gabon) Marie Joséphine Kama, who after divorcing him in 1986 launched a career as a professional singer under the name of Patience Dabany. I am not quite sure of the sequence of events (and any additional info is welcome..), but it appears that Omar Bongo was instrumental in launching her career by funding the creation the group Kounabeli, of which Josephine Kaba was not only the lead singer but also the choreographer. Kounabeli, which appears to have been founded mainly in honour of the Gabonese Democratic Party, the P.D.G., seems to fall in a category of musical ensembles which is virtually unknown in the West and which seems to have countless representatives in Gabon: the groupes d'animation. These groups consist of large numbers of women dancing and singing, - and mostly in praise of Omar Bongo or of the P.D.G.. The most popular ones are accompanied by a (small) soukous-style orchestra, but I am sure there also groups with traditional accompagnement, or even a cappella. The first example is a cassette by Kounabeli. This is probably a bootleg version of an lp from the 1980s. I remember hearing the lp-version once and being very disappointed. I found I preferred the tinny sound of this cassette. Perhaps because it accentuates the female chorus. This is especially the case in "Lessimbi", and slightly less in "Anniversaire de Bongo" (I told you..). The second is from an lp from 1985, released as an own production by the group Missema. The recipe is very similar to Kounabeli's, with plenty of hip-hip-hooray-for-good-old-Omar-B.. The sound will probably be more acceptable to the average mélomane. But, if you ask me, the massiveness of the group is slightly lost in the recording. 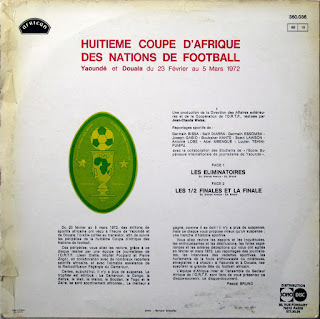 And that's really a pity, because that is the element that makes these recordings stand out among the numerous middle-of-the-mudtrack soukous albums. 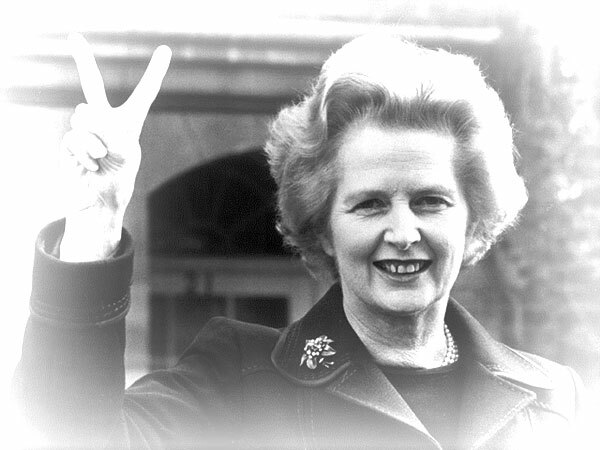 In the aftermath of the death of Margaret Thatcher I have missed a documentary analysing the relation between Thatcherism and the present economic crisis. Perhaps it was broadcast and I just did not see it, or perhaps this is being prepared. Or maybe the absence of such an analysis is an indirect result of the deceased's policies. Certainly in the Netherlands the media have fallen victim to the "free-market economy". The dramatic effects of this can be observed daily. A movement towards (very) 'light entertainment for the masses' which started in the 1960s with the then new broadcasting corporation TROS was rocket-fuelled by Thatcherism. What was seen in the late 1960s and early 1970s as mindless drivel and the lowest of the low has now - through a process that can only be described as 'incestuous' - achieved the status of 'high culture'. Products of this free-market culture have been exported all over the world. And I am not only referring to Endemol produce such as Big Brother and similar blockbusters, but also to the Tiëstos and Armin van Buurens and other - in my opinion disturbing - phenomena. Mindlessness as a major export. Perhaps stubbornly, I am still hoping it is not too late. Although on a local level all seems lost, globally there may be sufficient individuals ready to combat the regression into cultural barbarism. By joining forces we can avoid slipping into the abyss. The motto "l'union fait la force" ("Unity makes strength") was - according to this wikipedia page - first used in these low countries in the 16th century. And that's where we will have to look. As it happens, this unity, this joining of forces, was the main target of the policies of the late Mrs. T. and her sad & misguided successors. The vigour with which she attacked any form of grouping of workers to defend their rights against the forces of the free-market economy - and specifically the trade unions - can only be described as manic. So it stands to reason that we turn to these very unions in our attempt to turn the tide. And that's where we arrive at the subject of this post: the orchestra of the National Union of Tanzania, the NUTA Jazz Band (see also this earlier post). A great example of strength in unity, and of the high cultural level that can be the result. A unity that is demonstrated in strong vocal harmonies, in a solid wall of horns, and in some great interaction between musicians. And although I have no information about their salaries, I am convinced they can not be labelled as 'overpaid' (like many of the exponents of the present-day 'free-market culture'). This cassette, released by FLATIM Records (see also here), was probably recorded sometime in the mid-1970s. It is a collection of brilliant and very Tanzanian songs, but there is certainly an influence of the then dominant Zairean (Congolese) music. Particularly the influence of the (by that time) Tout Puissant O.K. Jazz is more than obvious. And, as you may have noticed, this will give a band a serious advantage in my rating. One song stands out in this respect: "Mwana Iddi". In every aspect this is a superb tribute to Franco, but especially in the execution of the sebène. After 1'40 the build-up starts, an ascent in stages which reaches its culmination after 3'19 with one of the very best Franco-esque solos I have ever heard. The band clearly has listened carefully to the grand maître, for they also have grasped the added value of the shouts (with the O.K. 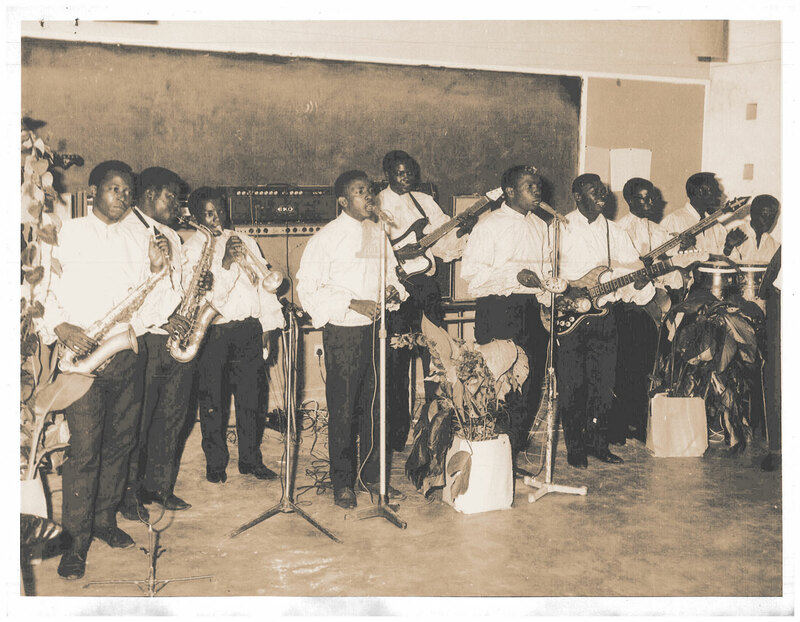 Jazz often by singers like Chécain and Boyibanda). But let me stress that NUTA Jazz is nevertheless very much original, very much Tanzanian - and very much authentic NUTA Jazz. Completely off-topic: I have had to introduce a relatively mild form of moderation on the comments. What goes on in the warped minds of those sad individuals who think I will let them get away with link-ridden and mostly ill-conceived and shoddy mails, is completely beyond my imagination, - and I have no intention of finding out either. Anyway, the moderation may result in a (hopefully short) delay in the publication of any comment you are still very welcome to make. And it is certainly possible that I will remove this form of censorship (and I am the first to admit it) in the future. On topic: this post is primarily intended to inform you of a new, small-scale initiative. And I hasten to add that I am personally not at all involved, and do not stand to gain a single peso or eurocent. I am a consumer like yourself* and as such open to anything new. You may remember that post of the wonderful record by Sali Sidibé, which Michael from Switzerland allowed me to share with you. Subsequently Michael has remained in contact. In September 2011 he mentioned he was going to Mali in December. 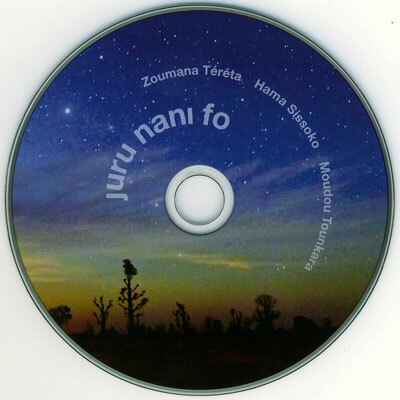 So it has been more or less a ngoni-related travel, I even could buy a used instrument....."
Two months ago another mail: "I produced the CD of a recording I did with Zoumana Téréta, Hama Sissoko and Moudou Tounkara: "Juru nani fo". I'm selling these to friends or lovers of african/malian music, therefore in no store; maybe this will come. The benefit goes 100% to the musicians, which have been payed already for the recording in BKO. Therefore, if you' re interested in a CD, which is professionally pressed (and not burned), I have to ask you 25 € for it, included shipping, etc. And, as it's for the benefit of the artists, I don't want it to be shared in the internet." He has since sent me the CD, which indeed has a very professional look about it (and in this respect beats quite a lot of CD's from commercial sources). The quality of the recordings, made on January 20, 2012 in a private house in the Magnambougou district of Bamako, is excellent. Apparently/audibly a small audience is present during the recording and this results in some feedback (talking, commenting) and in some 'background noises' (like cell-phones ringing, cutlery falling on the floor, doors closing). The music regularly breaks off and there are small interruptions for discussions between the musicians. Personally I love these kind of 'one-take' recordings (well actually I have a general preference for one-take recordings..). But I can imagine it is not for everyone. Star of the show is - without a doubt - Zoumana Tereta, whom you may remember from an earlier post. You may remember I described Zou as a "survivor from another era". In this "Juru nani fo" he seems very much in his natural habitat, in the living room playing for a family. At the same time it is clear that he has evolved tremendously as an artist since my recordings in 1999. So would I recommend this CD? Certainly. But it is not for everyone. You can obtain the CD by sending an email to Michael: kabako[at]proimago.net. As Michael has explicitly asked not to share any of the music I would instead like to share with you a cassette (from the 1980s) by an artist who will probably never be famous outside of Mali, but he was world-famous in Mali in the 1980s and 1990s. Not only did he do quite a few cassettes on local and regional historic heroes, he also talked about topical events, like a strike by lorry drivers. 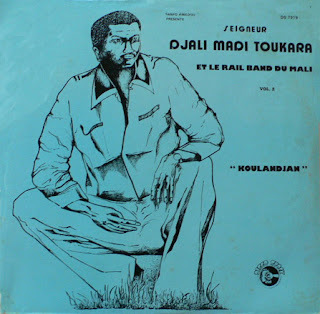 And please note the "talked about", for Daouda Dembele does not sing, he is a rapper avant la lettre, a talking djeli. But I hastily add that both descriptions don't do justice to Daouda Dembele's rare talent. For he is, like Zoumana Tereta, a voice from the past, an echo from history. A 'raconteur' as there used to be many, in the time before television, and even before radio. A master of his art, who many Malians will remember from the time when they were sitting with their friends or family, sipping hot tea and listening attentively to his stories. Please let me know if you want more. Luckily there is also an other, brighter side to this. I was studying the very interesting - and new! - discography of the Ngoma label. So far only 45 and 33 rpm, so I guess I will have to continue patiently (I am lying...) waiting for a list of the 78s. Anyway, in the list of EP's I found I actually have something to contribute. And this contribution is - as far as I know - one of the most remarkable of all the EP's in the catalogue. I can't tell you anything about the artists except their names (and even about that I am not 100% sure - see below..). And I have only the music. But this is more than enough. Side A has two tracks by a certain Kabongo Mbokodi, and I suppose Lulua Jazz is the group accompanying him. 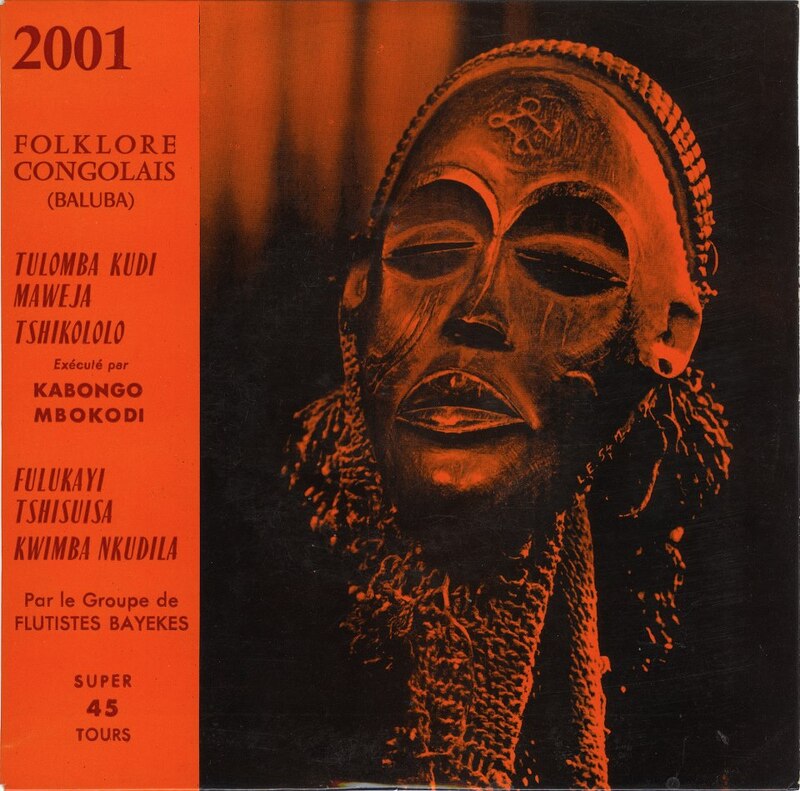 The musical style is one you may recognise from singers like Tshala Muana, so music which certainly in the days when this record was released (and my guess would be that the recordings are either from the early 1960s or the late 1950s) would be labelled "folklore". But does the use of a bottle as a percussion instrument justify this label? And what about an accordion? Is the accordion part of Lulua folklore? If it is I may have to do some digging into this folklore! Side A is lovely, but side B is no less than spectacular. The accordion has been replaced by flutes, and the initial impression could be that this is certainly folklore. But hark, what is this? A double bass? A sax? Again the rhythm is very much Lulua, a fascinating and compelling rhythm with a very strong and certainly distinct character. So why are they called "flutistes Bayeke"? Aren't the Bayeke from neigbouring Katanga? And - while I am at it - are the artists called Tshibitshabo and Tumba, or is Tshibitshabo playing tumba? You see, there is still a lot to investigate and to discover. And fortunately for us all, there is still so much wonderful and fascinating music to listen to. And I have uploaded scans of photocopies of a catalogue of the Ngoma Super 45t series on the wrldsrv-website. * I read somewhere that sites made in flash (like afrodisc.com) can't be viewed on an iPad. I can't check this as I do not possess such a device. Even for someone with a fundamentally positive outlook on life it is getting increasingly hard to see the bright side of things. For one there is the depressing news from a country which was for centuries seen as a source, if not fountain, of culture and higher matters, that there has been not just one, but a veritable horde of mentally defective and/or brainwashed voters who have given in the outrageous bribes by a certain politician with a preference for under-age females. And in writing this down I realise how totally absurd and almost fictional the situation in Italy must be for those who have not lost their minds. All this immoral behaviour has not led to any self-examining or even modesty. On the contrary: the vice prime minister instead has seized the moment to start pointing at the immorality of those bl**dy foreigners immigrants! He has demanded that immigrants should sign a participation contract, - the objective being that immigrants agree on the basic principles of 'our society'. I, as an embarrassed native, would never sign such a contract, unless those who are consistently and persistently demonstrating their total lack of respect for any principles do so first. The net effect of measures like this are exactly the opposite of what they should be, - at least in the words of the politician who proposed this. Instead of ending tendencies towards homophobia and repression of women within immigrant communities it will, once more, acknowledge and legitimise the already not so latent tendencies towards racism and xenophobia within (apparently) large groups of the native community. And the weather has been crap too. So to end this easily forgettable month I would like to share with you this third volume of the "El Sonero de Africa" series by Laba Sosseh (and the great Dexter Johnson). While I recognise this is not the best record vinylwise, and the recordings certainly don't measure up to the modern-day 'basic principles', I just love the unpretentiousness, the imperfection, the down-to-earthness, the no hassles* fun, - which to me make and have made these records (volume 1, volume 2) into evergreens over the last twenty-five or so years. Another (short) post in the series of countermeasures. With this magnificent video by Fanta Damba No.2 (recorded by the RTM in 1983) one can't help but thinking: if this is number two, what is number one going to be like? For this is a real masterpiece. From the very first note Fanta Damba goes straight for the jugular. And although she is accompanied by only two musicians it feels like there is a huge ensemble at work. Those two musicians are of the top league of Malian accompagnateurs: on ngoni Moriba Koita* Moctar Koné (see comments - his identity has not yet been confirmed, but it seems very likely this is him) and on guitar the ubiquitous Bouba Sacko, who you may remember from the Ami Koita video I posted not too long ago. Fanta Damba's vocal power and the ease of her singing in this song is certainly a highlight in Malian music. When I rediscovered it a few days ago, going through a pile of video cassettes, I watched the full twenty minutes with open mouth, tears streaming down my cheeks. The song is "Duga" ("vulture"), one of the oldest songs in Malian musical tradition. 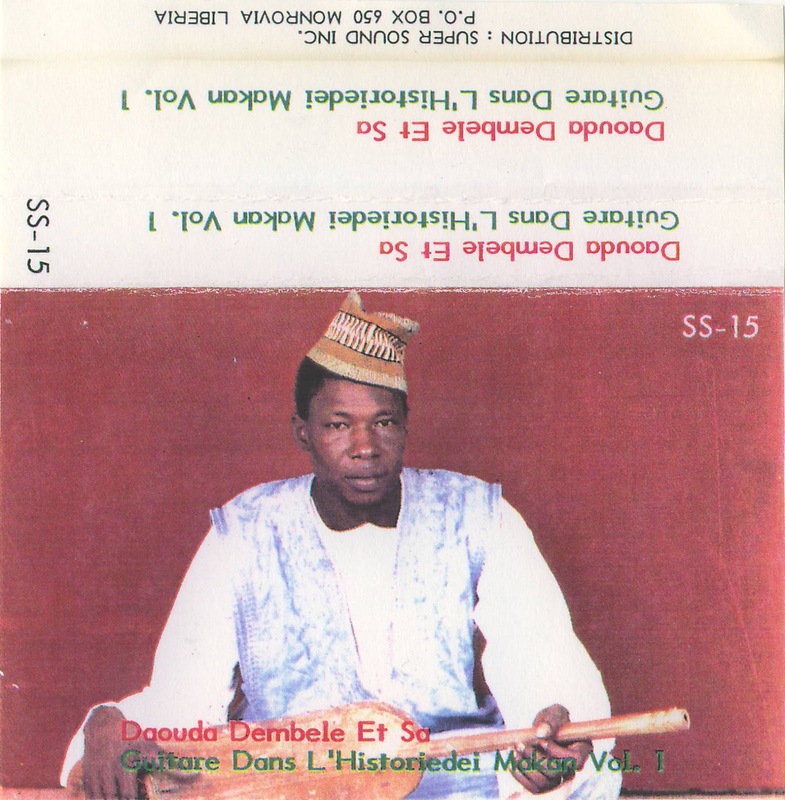 And although the song is often linked to the epics surrounding Da Monzon Diarra and the Bambara empire of Ségou, there are apparently also people who claim it is a Malinke classic. I recommend reading these - varied - explanations about the lyrics and origin of this song, which can be found here. *I was initially sure I heard Zoumana Yoro mentioning Moriba Koita in his introduction of this song. But if you compare this video with the one of Ami Koita, you will have to agree that this is not the same ngoni player. If you have any idea about the surname of this Moctar, please let us know. It's him in the video, don't you agree? In case you are wondering about the fall in the frequency of the posting on this blog, I have recently purchased a new second-hand VHS recorder, and have been messing about with the digitisation of video-cassettes. I hope and intend to share the fruits of these efforts (which are in an exploratory phase right now) at a later moment. In the meantime here is a short interludum. 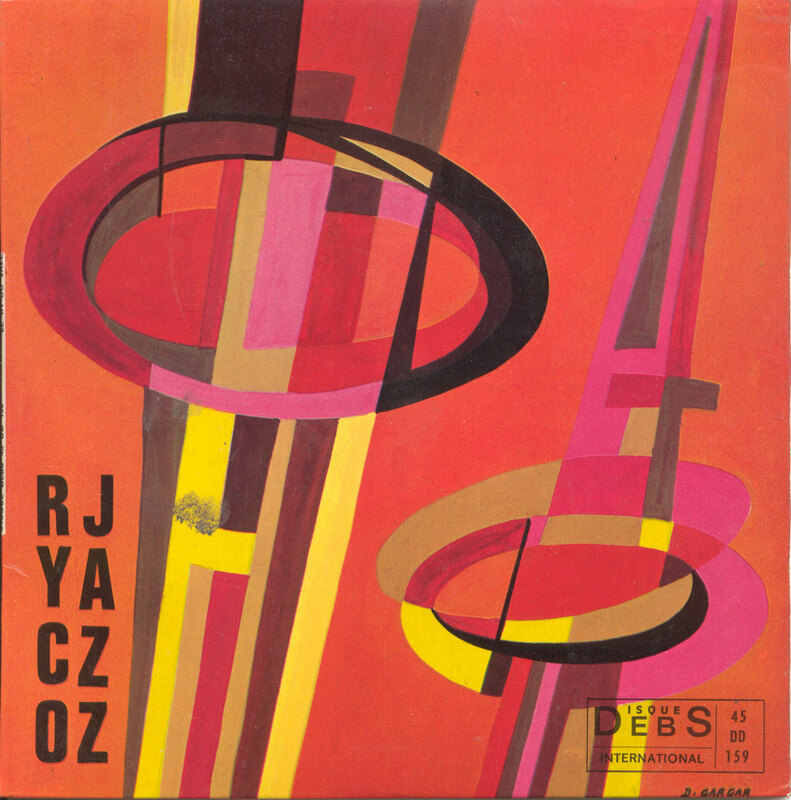 With this record by Ry-Co Jazz I get the same uneasy feeling I had when I first heard the CD on the RetroAfric label (Retro10CD, 1996). In fact even slightly more so than that CD. It's not that I don't like the CD; there are quite a few rather nice songs on it. And there is the added pleasure of Gary Stewart's informative liner notes (which is a thing that is missing from a lot, if not most, Congolese albums...). It is just that there is a certain akwardness about it, which I for a long time credited to the Parisian influence. I saw a comparison with the recordings of Kabasele with the African Team, and the feeling of missed opportunities I often get when listening to those records. But now, many years later, I suspect bad timing may have something to do with my uneasiness. This single is a good example of this. Both sides feature a cover of a song originally recorded by the O.K. Jazz. The A-side is a cover of Dele Pedro's "Tu Bois Beaucoup" (which is also on the CD, by the way), which even within the repertoire of the O.K. Jazz is not a typical song. The appeal of the song is one of a gimmicky type. 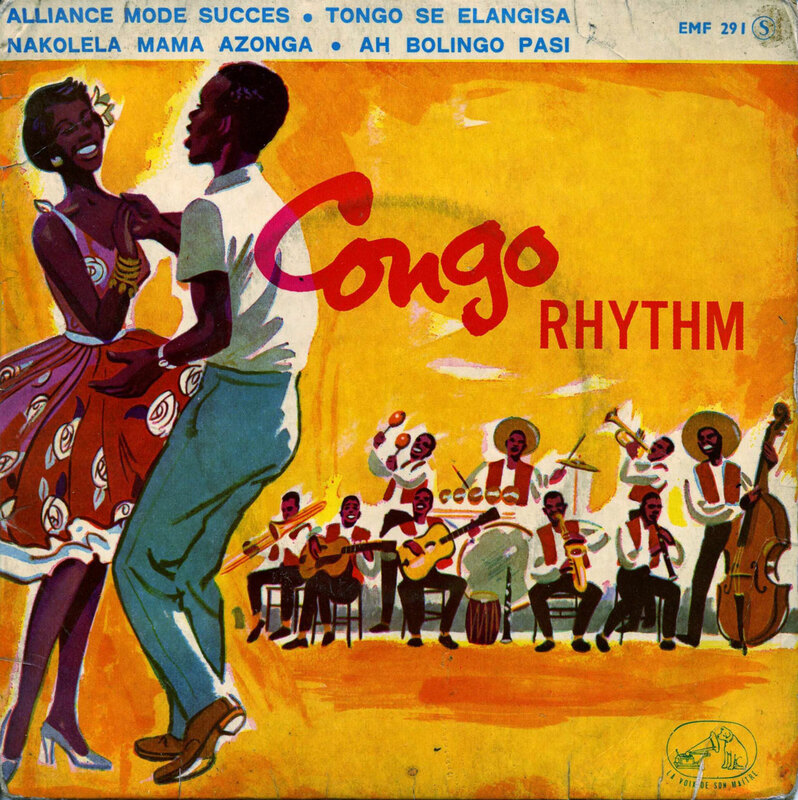 Musically it is not one of the highlights of Congolese music of the early 1960s. In the version of Ry-Co Jazz the gimmick is watered-down, and the result falls absolutely short of the mark. 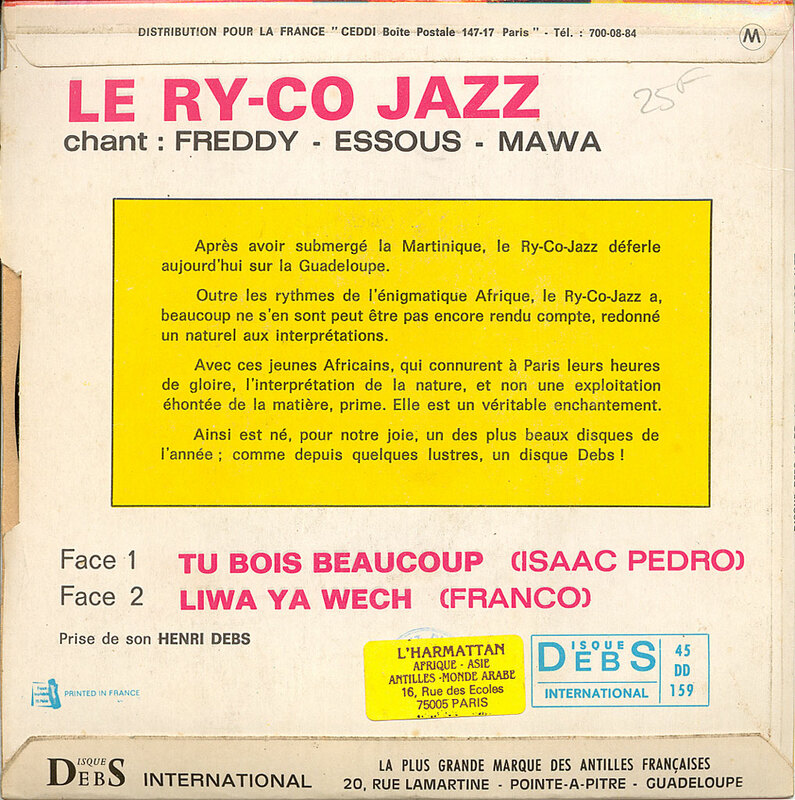 The B-side is a cover of Franco's 1960 classic "Liwa Ya Wech". This song has been covered by artists in several countries. I have even heard a Guinean version (and I don't mean the version by Miriam Makeba). In a way this is surprising as this is a very personal song, about the death of a personal friend of Franco. If you ask me the personal touch and even intimacy of the original is completely flattened by this version, even it is sung by Essous, an ex-member of the O.K. Jazz. Although I am not averse to organs, the one on this single does not lift me off the floor and definitely sounds very dated, very late 1960s. PS: Who is this "Mawa"? I must stress that I don't include songs about topical subjects in this category. I am particularly excluding all those great calypsos (either from Trinidad or from West Africa) about the Queen's visit or a local scandal, songs about a strike of lorry drivers, shipping accidents and other assorted disasters. In fact, I wish they would reinstate this tradition. We could have songs about Italian politics ("Bunga Bunga Benga"), about hurricanes ("The Sandy Shuffle"), scandals ("The Zagreb Conspiracy") and footballing incidents ("Christiano's header"). What really makes this record special is not the music of Manu Dibango. While recognising his importance for music in general I have never been a fan of his music, to be very honest. In fact, the music in this record is of the kind that I would gladly do without. What does make this record special is the inclusions of the 'live' commentaries from the different participating countries. The commentary styles are varied, from the staccato of Boevi Lawson (Radio Togo), via the very disciplined and rather eloquent Malians Boubacar Kante and Salif Diarra (who even sportingly congratulates the opponents after his country loses the final), to the controlled but outrageous Joseph Gabio (Congo-Brazza). Joseph does not shun insults, both of players of his own country's team - when they 'allow' their Zairean neighbours to score a goal - and of a "cursed" Cameroonian player (also called Joseph) who misses in front of the Congolese goal. And I just love the over-the-top enthousiasm of the two Cameroonian reporters, with one of them announcing: "Ladies and gentlemen, the Cameroon boys are doing it!". Which brings me to what is perhaps a challenge in the enjoyment of this record: apart from these few exclamations it is all in french. Watching the CAN 2013 I have often thought of this record, and of the enthousiasm of the commentators. Unfortunately the lukewarm and misplaced arrogance of the European reporters tends to act as a real turnoff, even with the most spectacular matches. I have followed Thomas Mapfumo since the mid-1980s. If I am not mistaken he and his band, The Blacks Unlimited, first performed in this country in 1984. In 1986 I saw him - and talked to him extensively - both in Angoulême, where he was performing at the Festival de Jazz et Musiques Métisses, and in Amsterdam. I may post parts of the concert (part of Oko Drammeh's legendary African Feeling series) at the Paradiso, Amsterdam, at a later date. The meetings with Thomas on both occasions were very memorable, for different reasons. But, as I wrote, I may come to those in a future post. This post is actually of a concert 4 years later. Thomas and the band had not toured Europe for a few years. There had been some changes, particularly in the musical direction of the band. Reggae had been replaced by roots, Zimbabwean roots. Chartwell Dutiro, for example, was playing mbira instead of sax. In 1989 Mapfumo had released songs in which he criticised Mugabe, who two years earlier had abolished the office of prime-minister to become president. A song "Corruption" was even banned in Zimbabwe, and both Mapfumo and his band were targeted by circles around the presidency. The harassments finally led to Mapfumo leaving the country at the end of the 1990s. He now lives in the US. In my opinion 1989 and 1990 were musically two of the most interesting years in Mapfumo's career. 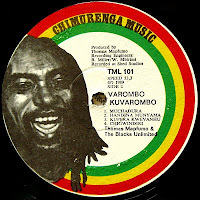 In 1989 he released the album "Varombo Kuvarombo", the first second (1) on his own Chimurenga Music label (part of Gramma). This was reissued a year later by Mango Records as "Corruption", - and now with the (title) song which had been banned in Zimbabwe. Besides this it featured epic songs like "Moyo Wangu" (you may have seen the fantastic live version on YouTube). The second third album, "Chamunorwa", was even more memorable, with six songs clearly inspired by Zimbabwean traditional mbira music. These two albums formed the basis of the repertoire which Thomas used for his European tour of 1990. The songs I would like to share with you in this post are from his concert at the Melkweg in Amsterdam during the World Roots Festival (programme) on June 28. A few weeks later he performed at the African Music Festival in Delft, where I managed to talk to him for a short while in a very crowded dressing room. You can hear a short part of that interview after Aboubacar Siddikh's YouTube version of the Melkweg concert, - which by the way includes photos taken (by AS) during a concert a few years later. The concert featured some remarkable versions of songs which had been recently released on lp. The concert started with fantastic instrumental versions of the - now - classic "Chitima Nditakure" and "Hwahwa". You may recognise the guitarist as Ashton "Sugar" Chiweshe, who is the star of those videos on Youtube I mentioned above. I particularly like his version of "Nyoka Musango"; his guitar adds a unique twist to this version. "Moyo Wangu" however falls short of the video version. The next song (the first on the B-side of the cassette) is again an instrumental; this time a version of "Chamunorwa". This is followed by a song which I have so far been unable to trace. I have gone through my whole collection of Mukanya masterpieces, but have not been able to find another version of this song. An astonishing minimalistic, purely traditional song, - with Thomas dancing and digging deep to evoke the spirits.... I advise you to listen to this a few times; it will grow on you. The following "Handina Munyama" (from "Varombo Kuvarombo"/"Corruption") was obviously meant to balance the mood. It does so and levels things out for two new songs, which were - certainly in the Netherlands - only available on record the next year. 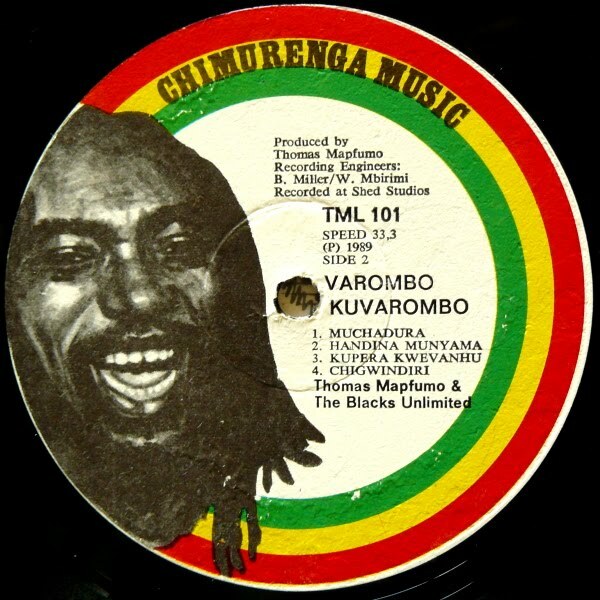 Both "Dangu-Rangu" and "Svere-Ngoma" were released on Mapfumo's third album on Chimurenga Music: "Chimurenga Master Piece" (TML 103). The songs are based on traditionals, but - as Thomas would stress during the interview in August - with the modern mixed in. Unfortunately of the last song only the first few seconds have been recorded. As a bonus I am adding this energetic video (clip) of the song "Vanhu Vatema" (1993), recorded from Zimbabwean television a year later. The images are clearly taken from the videos I posted earlier, but the editing of this clip is quite good. EDIT January 19, 2013: The mystery track (track 9) has been identified as "Shanje". No wonder I couldn't find it, as it has only been released on one of the few albums I do not have ("Chimurenga Varieties" - TML 106), - and 4 years after this concert. I have corrected this and have re-uploaded the songs. 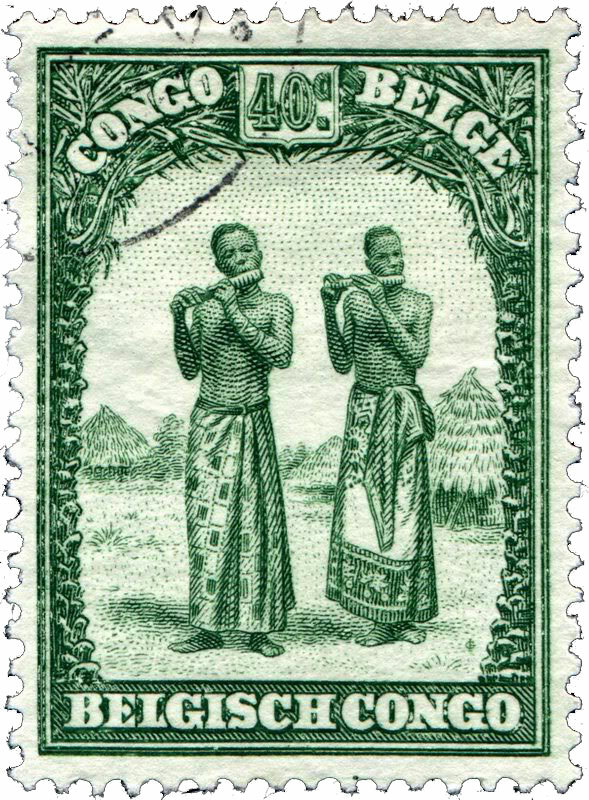 (1): correction: the first was "Zimbabwe-Mozambique" (TML 100) in 1988. Actually I had planned to post some music by Thomas Mapfumo, but I am still trying to retrieve the title of one of the songs. So this will have to wait for a few days. But it gives me an opportunity to share with you some more countermeasures in the struggle against the imminent oppression of the people of Mali. It is not very hard to understand why the French have decided to 'come to the rescue'. As a former colonial power France has over the decades tried to keep some level of influence in its former colonies, with different degrees of success. Even in colonial times Mali was never at the center of French interest, and after independence Mali has done little to 'nurture' the ties. And French efforts to keep in touch have been half-hearted at best. 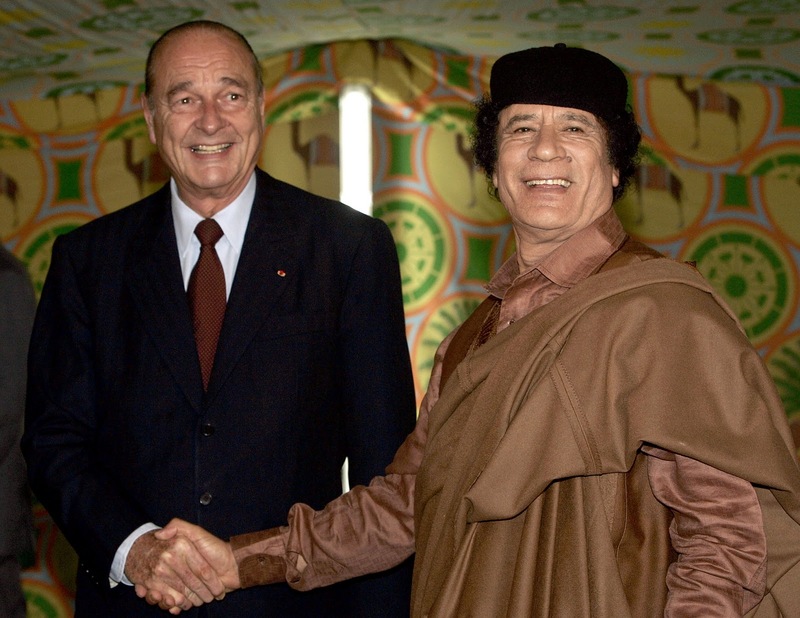 Even before the fall of president Moussa Traoré in 1991 the French appeared to have given up on Mali, and since then others have stepped in, notably Chinese, Arabs and Libyans. These new friends proved to be more valuable and more effective than the French had been over all those seemingly countless years. The Arabs built hotels and a great bridge in the capital Bamako. The Chinese have set up projects to revive Malian agricultural capabilities2. And the Libyans, or at least former president and 'our man' Muammar Gaddafi, they made themselves hugely popular by providing the (satellite) communication facilities that opened up the entire continent and can in a lot of ways be seen as the biggest revolution for ordinary Africans in the last century (if not in history..). In the meantime too, it has become clear that Mali may have some economic possibilities. During French colonial rule the focus was mainly, if not exclusively on agriculture. The Office du Niger was set up to provide the French textile industry with raw material, - regardless of the effect the growing of cotton would have on the sparse arable soil. Since those days French governments have done little to ascertain the needs of Malians. In fact, subsequent French governments have done their utmost to retain a level of dependency of 'grand frère' France, particularly by the monetary system, while ignoring polite requests to really help out. Personally I don't believe that altruistic motives play any part in the French attempts to intervene. Geo-political motives: yes. France wanting to restore its waning foothold in the African continent, after French pawns (like Houphouet-Boigny) in other former colonies have disappeared from the scene: yes. But 'coming to the rescue': nahhhh! Please excuse my digression. I am awaiting reports 'from the frontline', but could not restrain myself any further. I have actually managed to control my urges slightly, as I haven't even started about the very dubious role of (who else but) the US in this issue. This resilience and this force of character can hardly be more apparent than with this singer, who already featured in an earlier post in this blog. 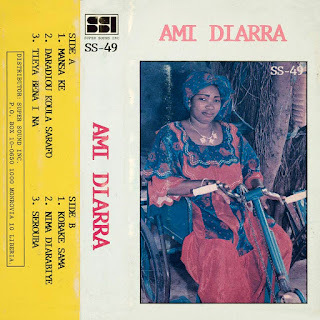 For Ami Diarra not only had to overcome polio herself, but she managed to set her own handicap aside to help others. This cassette is from the late 1980s or early 1990s, but I have heard that she is still active. I am almost sure that the ensemble accompanying Ami is the same Ensemble Balemaya from Kayes as in the video, and it may even be that the recordings of the cassette and the video are the same. 1 More details on the conflict on the site of Al Jazeera. Among my resolutions for this new year is one which may prove to be somewhat challenging: for I intend to post more music from East Africa. The challenge lies not so much in the music, but in 'peripheral' matters. This post is a good example of this. For although I had copied the music, I had done so in a time when even a copy-shop (or any other facility where one could turn to to produce a photocopy) was a veritable rarity. In fact, it must have been around the time when this record was released. Luckily I recently received digital copies of the sleeve, so I can now share the record with you. This post is also intended as an encouragement for the Tanzania Heritage Project (see their website), a project which aims to restore and preserve the archives at Radio Tanzania. In all the discussions about rights and 'infringements' an aspect seems to have been overlooked. When dealing with African music issues of rights (which in any case are mostly the rights of - often dubious - producers) are insignificant compared to the far, far larger issue of the irretrievable and absolute loss of enormous quantities of unique and irreproducable musical recordings. You may have read my earlier posts where I 'moan' about the 'limitations' in the (digital) reproduction of Franco's impressive oeuvre. To be honest I have to add that these limitations are almost trivial compared to the reproduction of the works by others, like for example the Vijana Jazz Orchestra. And I hasten to add that Stern's have just over a year ago released a very recommendable CD, which you can still obtain from their site. Music by Vijana Jazz has also appeared on a few compilations, but I think we are still a long way from a structured and integral disclosure of their musical legacy. When it comes to biographical information I was surprised to find there is even an entry in the wikipedia dedicated to this illustrious Tanzanian formation, which like others (see here and here) has its origins in a public (i.e. linked to the state) organisation. 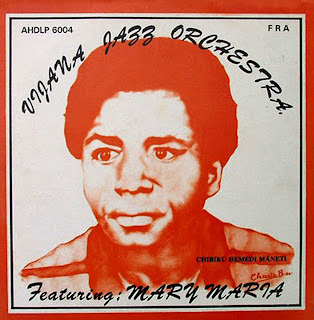 I suppose this album can be seen as the peak of the career of the late singer Hemedi Maneti with two of his greatest hits: "Mary Maria" and "Tambiko la Pamba Moto". I love the wonderfully intrusive guitar (and matching bass!) and the great vocals, both the lead and the chorus. If you ask me, both of these tracks don't only deserve a place in the Heritage of Tanzania, but should also at least be nominated for a place in the World Heritage List (and especially if you see what is actually on this list...).